For many us the only things we know about garlic is to avoid it before a date, and that it was deadly to vampires! Seriously though the benefits of this amazing herb are very potent, when used correctly. Garlic is part of the same family of herbaceous plants as onions, leek, shallot, and chives. They are called Alliaceae. Garlic grows in a bulb shape, which is divided in sections called cloves. It is the raw garlic that is used in traditional garlic cures. Garlic is made up of over 100 different water and oil soluble phytochemical compounds. However it is the organosulfur compounds that garlic contains that are the key to the amazing health and medicinal benefits of garlic. Please note: Please exercise great caution when consuming garlic or using garlic supplements if you are on anticoagulant medications such as Coumadin or Warfarin. Garlic has its own anticoagulant effects and so may increase the danger of hemorrhage if used with the above medications. 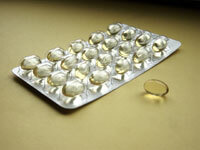 Garlic supplements are used to get the health benefits of garlic in a more convenient way. Supplements of garlic in powder, pill, or capsule form are sold for their medicinal value. Some garlic supplements retain the characteristic odor of garlic and can still be detected on your breath, or cause you to burp, even when used in supplement form. Other types of garlic supplements use the aged extracts of garlic and these may be superior to whole garlic for medicinal purposes. The most important of the organosulfur compounds are water soluble, such as S-allyl cysteine and other amino acids. These have a high absorption rate and bioavailability. These extracts do not have the pungent odor of Allicin and so are not a problem that will affect your breath or have an unpleasant burping associated with other garlic supplements. Allicin is a pungent colorless liquid with a distinctive smell. It is an organic compound, which can be found in both garlic and onions. 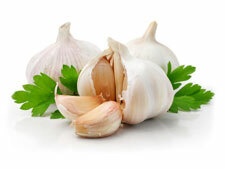 It is one of the most important components responsible for the health benefits of garlic. It is thought that Allicin is part of the garlic plants defense against insects and other pests, because the Allicin is only released when the skin of the garlic bulb is broken. Garlic contains alliin-a sulfur containing compound, that when the cloves are chopped or crushed, is converted by the enzyme alliinase into Allicin. High Allicin garlic refers to a concentrated extract of garlic that contains the compounds that produce Allicin in the body once they are ingested. These come in tablet, capsule, or powder form and are used as a nutritional supplement for various health issues. The problem with high Allicin garlic supplements is that once the Allicin forms in the stomach, the stomach acids rapidly destroy it, so that very little Allicin makes it into the blood stream, so you get very little of the health benefits of garlic. One of the most recent breakthroughs in garlic supplements is called “stabilized Allicin.” This is a patented process whereby the Allicin is freeze dried and made into a powder form where it remains stable when encapsulated. This form provides multiple health and medicinal benefits of garlic, even though technically it is not garlic. Stabilized Allicin is available as a nutritional supplement and can be used for a variety of health promoting purposes. This new garlic supplement may well prove to be THE most effective and convenient way to harness the health benefits of garlic. Why not add this powerful and time-honored herb in its raw and supplemental forms to your antiaging diet. Click on this link for more information about "Stabilized Allicin"